In today’s economy, where technology and opportunity have made it easy to work wherever and whenever, “heading into the office” is no longer a given. So today’s commercial real estate developers and property owners have to work extra hard to make the idea of working on-site extra appealing. These are the little ‘something extras’ that add up to big business. 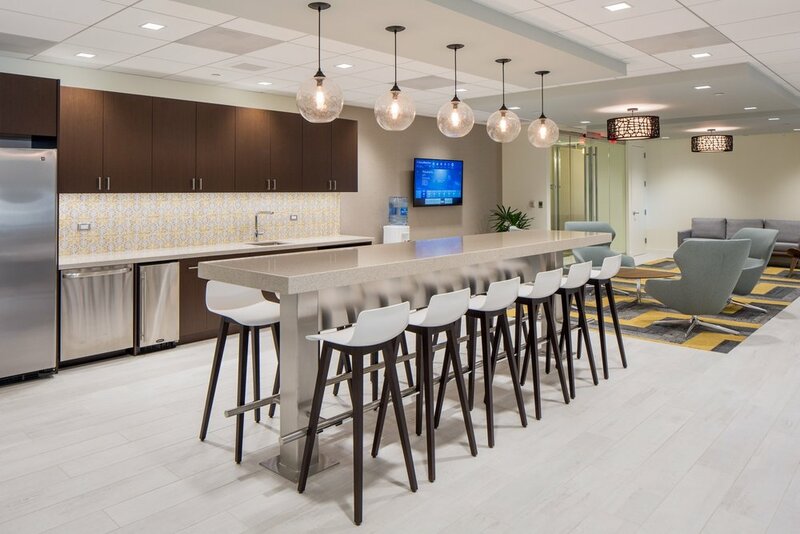 Equity Commonwealth, the owners of 1735 Market Street in Philadelphia’s central business district, commissioned Greg to shoot the “amenities” – the on-site extras that properties invest in to attract and retain businesses that, in turn, use them to recruit and retain employees. At 1650 Arch Street, meeting space has been redefined. At 1735 Market, this included a lounge and rooftop deck with panoramic views of Philadelphia landmarks. Large meeting rooms, a smaller conference room, hangout spaces that feature a pool table, shuffleboard, kitchen – even a wine bar with a wine locker – were all part of the experience. Scheduling the shoot for a Saturday, Greg and his assistant had the place to themselves, allowing them to set up lighting and tweak furniture and props. Unfortunately, the key to the wine locker was nowhere to be found. The finished photos were to be used in e-mail and social media campaigns to retain current tenants, as well as attract new ones, potentially including co-working communities like WeWork, The Yard and Philadelphia’s own Indy Hall – places where convenience, collaboration and sometimes karaoke plant the seeds of productivity.